Supplier of new & used recycled moving boxes, bubble wrap, protective covers, packaging and other services. Open to the public & trade. Dimensions : 80 x 80 x 330 Thickness: 1mm (Self Lock) Qty: Contact us for Bulk Pricing. Colour: Black Items can be purchased online or shop at one of our Pack Now branches. Dimensions : 180 x 120 x 40 (L x W x H) Thickness: Single wall Qty: Sold as singles/ in bulk Colour: White This gift box is a Die Cut box. With over 2000 online orders placed since 2014 without a glitch, we say it’s safe to shop online ! Cardboard Boxes For Moving & Protective Packaging. We supply all your moving needs such as cardboard boxes for moving, new and used cardboard boxes in both single and double wall cardboard boxes. We also supply all your protective packaging such as mattress covers, bubble wrap, furniture covers, airothene, corrugated cardboard rolls. Pack Now also supplies packaging tape, tape gun dispensers, fragile stickers, markers pens and many other products. Buy all your moving product online or come in-store and we will gladly assist you with your next purchase. We sell directly to the public with no minimum ordering quantities. Packaging Partner & Custom Cardboard Box Manufacturer. If you need more than just cardboard boxes and need custom cardboard boxes manufactured Pack Now will gladly become your preferred supplier. We have recently become a division of the largest cardboard box manufacturers in South Africa. We mainly service KZN . We are also able to service Gauteng and Cape Town with an additional cost for shipping/transportation. We will build your next cardboard box online with our simple online box builder. We also supply the following packaging products at the most competitive rates: Bubble wrap, SFK Corrugated rolls, airothene, pallet wrap, packaging tape, printed packaging tape, security tape and many other packaging products. 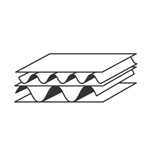 We stock a wide range of packaging boxes in both single and double wall boxes. If you are looking for a complete removals preparation , our house packing service offers the ideal solution. Our team of professional packers will pack all the items in your home prior to the removal date in cardboard boxes or plastic boxes . We will carefully assess each and every room in your home, packing every item systematically and safely. Our packing service is our way of providing you with a complete home moving and preparation service. Our professional team of packers will save you time, trouble and unnecessary backaches. Our packing service will turn your removal experience into a pleasant and effortless experience.